Blue, red and white: the fishing port of Henningsvaer on Lofoten in Norway on a fine summer day. Ships and houses are reflected in the calm water. 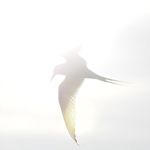 This entry was posted on Tuesday, November 27th, 2012 at 10:02 pm. It is filed under New Images, Travel and tagged with atlantic, austvagoy, blue, blue sky, boat, boats, buildings, calm, economy, Europe, fishing, fishing port, harbor, harbour, henningsvaer, houses, industry, island, landing stage, landscape, location, lofoten, marine, mirror, mirrored, mirroring, mood, moored, mooring, nautical, naval, norge, north, northern, norway, Panorama, panoramic, peaceful, port, red, reflection, scandinavia, Scenic, sea, seafaring, season, ship, ships, sky, surface, symmetric, symmetry, Tourism, travel, trawler, vessel, voyage, water, white, wide. You can follow any responses to this entry through the RSS 2.0 feed.